Elegant citrus aromas. Concentrated and elegant, combining flavors dried fruit and woody notes. Nice balance between matter and acidity, long and persistent finish. Made from 35 year old vines. 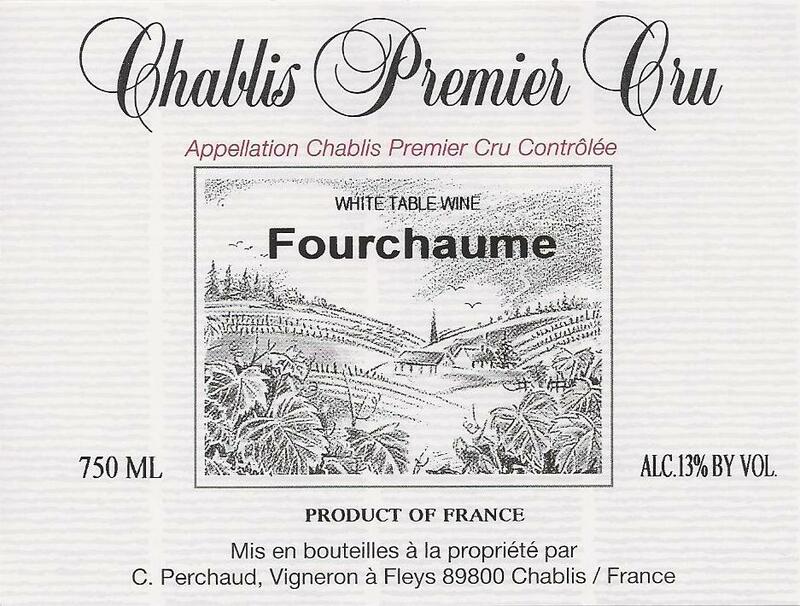 The owners take great care to produce exceptional Chablis wine by keeping the lively Chardonnay fruit and the unique mineral quality imparted by the Kimmeridgian soil, the fruity acidity and bouquet in perfect balance. The grapes are harvested by hand and gently pressed in a horizontal pressoir to ensure the fullest extraction and range of flavors and aromas. Pair with Scallops Jacques cream, roast veal with oyster mushrooms. Corinne Perchaud and her husband Jean-Pierre Grossot began working in the Domaine in 1980, but the estate was originally founded in 1920. They are the third generation of winemakers at this family estate, located in the village of Fleys, in the heart of the Chablis appellation. They farm 18 hectares (44.5 acres) of vines: 13 A.O.C. Chablis and 5 hectares Premier Cru. The wines are only tank fermented, except the Fourneaux that gets 25% barrel fermented wine added into the final blend. The owners take great care to produce exceptional Chablis wine by keeping the lively Chardonnay fruit and the unique mineral quality imparted by the Kimmeridgian soil, the fruity acidity and bouquet in perfect balance. The grapes are harvested by hand and gently pressed in a horizontal pressoir to ensure the fullest extraction and range of flavors and aromas.